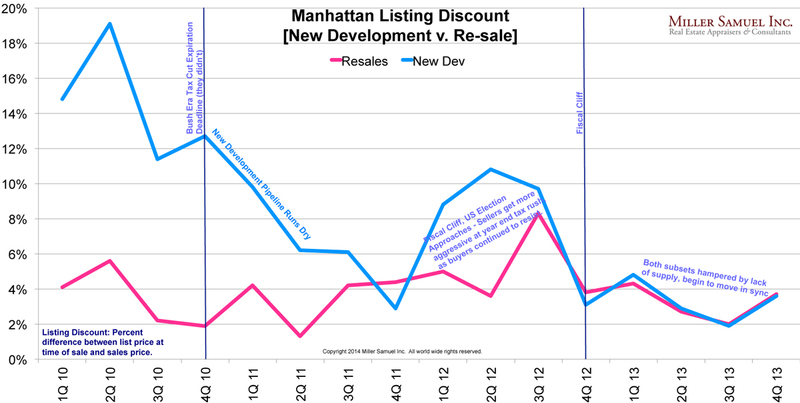 I took a look at Manhattan’s climb out of the depths of the inventory void, and things are changing, but at a glacial pace. 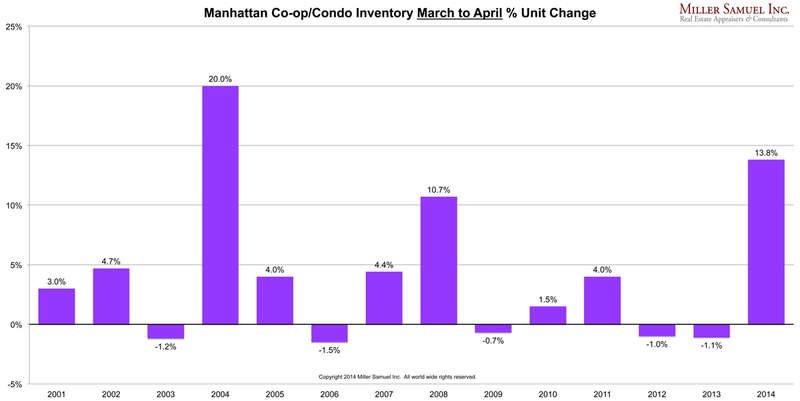 On a monthly basis, inventory bottomed last August (but it boomed in the fourth quarter on a quarterly basis). 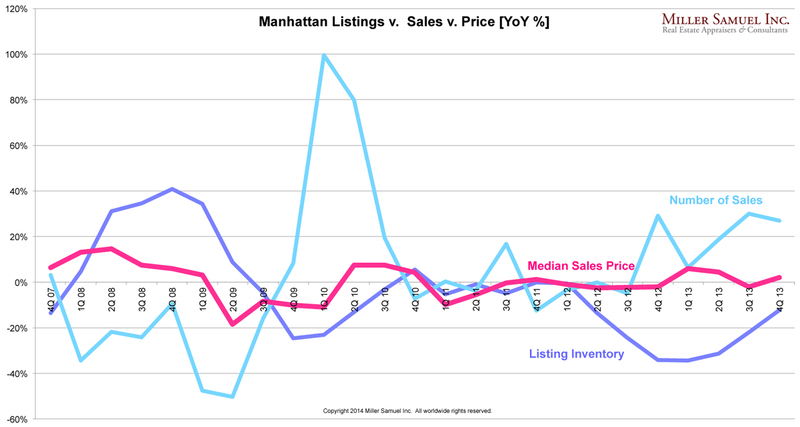 Perhaps the only significant reason inventory has begun to rise is because housing prices are beginning to ramp up, and sales are below last year’s pace. Sellers with new found equity have begun to list their properties. 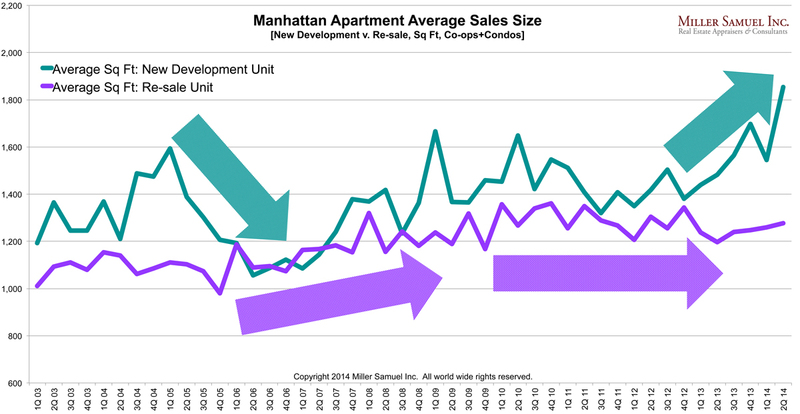 However, rising inventory remains inadequate against demand and the imbalance between supply and demand remains significant—and forget about the new development boom, that’s not going to help the overall market. 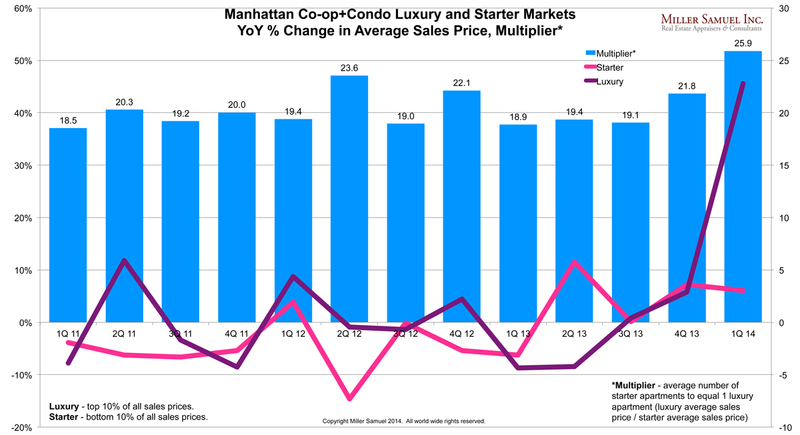 The above chart shows a long view of the monthly Manhattan co-op and condo peak and trough and provides context on how low current supply actually is…. Now that the January market report gauntlet is behind me, I thought I’d return to what I really enjoy doing—shoveling snow. I mean, posting Three Cents Worth columns. 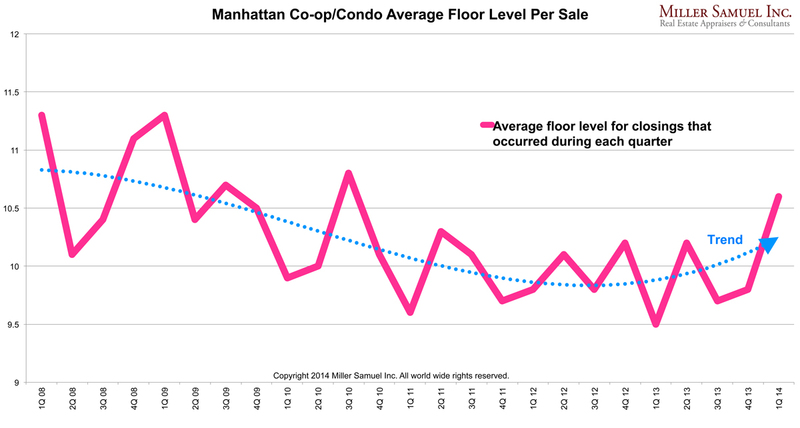 Most readers at Curbed have been following the recent market insanity. In this chart, I presented the last six years of market data to illustrate three distinct market periods we have gone through and to guess what the fourth period will be….